How the Trump administration will interface with federal agencies and different market sectors such as tech and banking. BREXIT fallout and how elections in the Netherlands, France and Germany will effect privacy enforcement. Preparing for the new landmark EU privacy regime’s dramatic compliance challenges and threat of massive fines. Increasingly complex and sometimes conflicting domestic and international compliance and disclosure requirements. Rapidly evolving technology in the internet of things, artificial intelligence and big data analytics. Learn how Mercedes K. Tunstall, a public policy and privacy partner with Pillsbury Winthrop Shaw Pittman LLP, turns to Bloomberg Law to advise clients in consumer financial services on privacy and data security laws and regulations around the world. 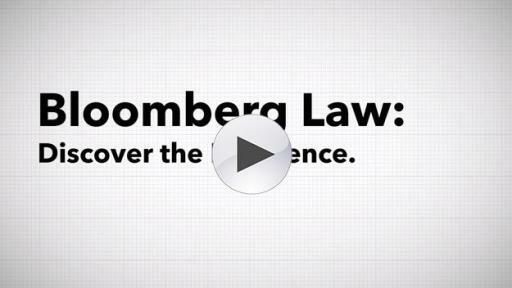 See what “sets Bloomberg Law apart from other providers” as Mercedes describes how she uses the platform to quickly provide sound, reliable counsel to clients.